It’s too hot to fully say farewell to summertime, but it’s never too early to plan for a gradual or swift (we’re looking at you mother nature!) change in season. Not only does this time of year mean a change in wardrobe strategy, but it’s also time to give our closets a serious organizational overhaul. Here are 5 ways to make the transition stylish & smooth, along with Stylist Tips to maximize your closet to make way for the new season. We love spaghetti straps and loose, airy tanks for summer. If you’re not ready to give them up when temps drop, try adding multiple layers for dimension & warmth. Look to fall’s rich color palette for inspiration, like a jewel-colored cardigan and a cognac-colored moto jacket. Organization Tip: Once the temps are too cold for tanks, pack them up to make way for sweaters & warmer layers. To make sure they weather the winter, wash your summer pieces one last time & invest in quality storage containers. Don’t pack up your summer dresses—you can still get more mileage out of them! 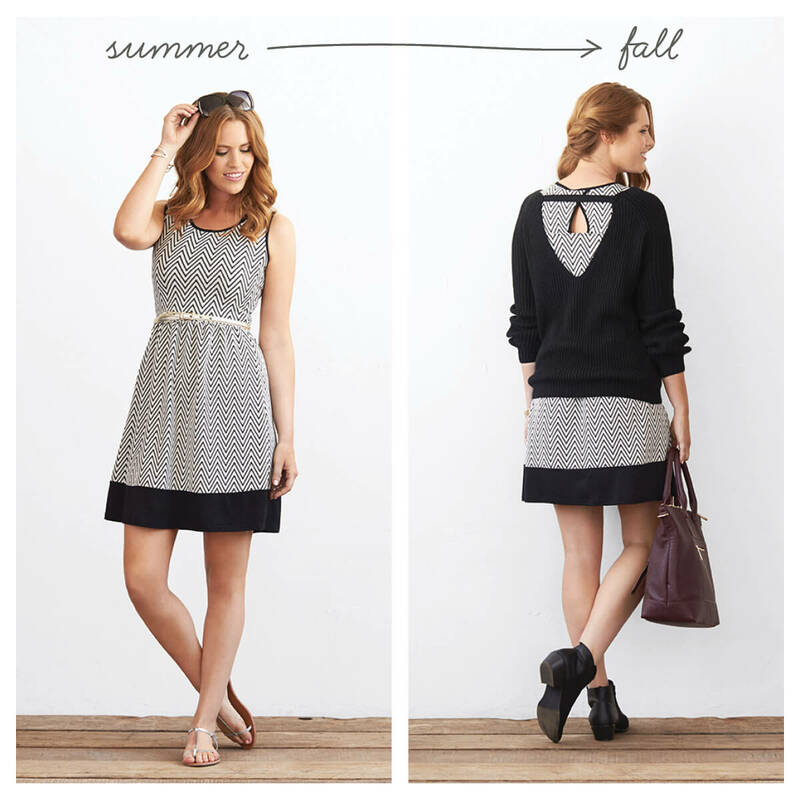 When mornings turn chilly, reach for your go-to sweater to transform your dress into a wearable transition piece. Bonus points if there’s an interesting back detail or cut-out to show off your layering skills. Dust off your ankle boots, too—it’ll be time to retire your sandals soon. Organization Tip: Don’t store away summer items you can still wear in fall. Pieces like lightweight blazers, tees, dresses and airy button-ups are pieces you should leave space in your closet year-round. You’ve been bearing the heat long enough—especially on your morning commute! Take your tried & true work look and turn it into something more fall-appropriate with a simple layering tweak. 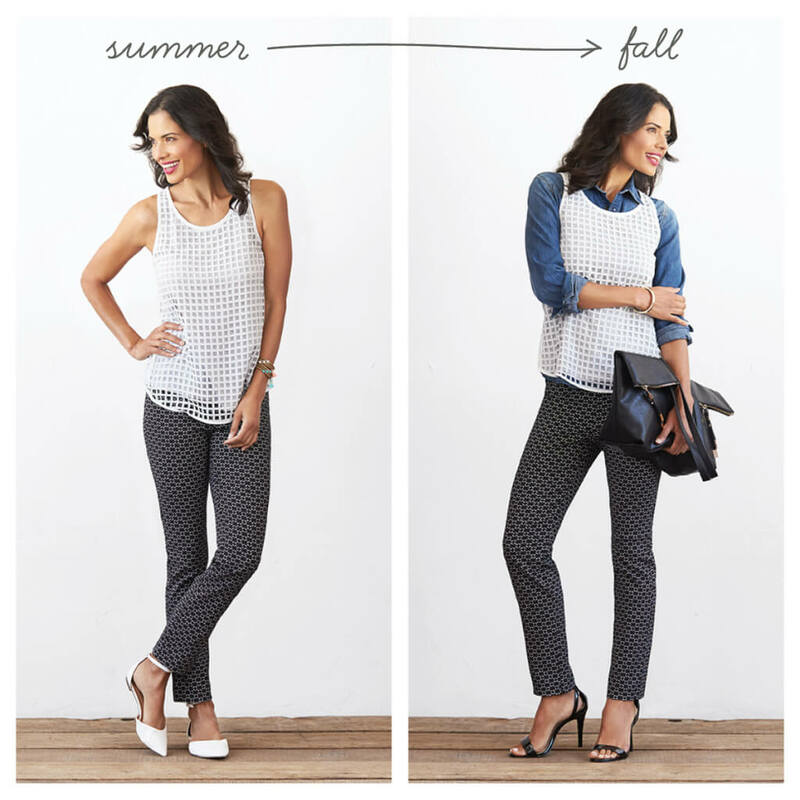 Try wearing a chambray or fine cotton button-up under your favorite textured tank for cool-temperature protection. Organization Tip: Workwear is easy to let build up over time. This fall, go through all of your 9-5 favorites and do a serious edit. Keep items that are still in regular rotation, then donate anything that you haven’t worn in a while. See below for a list of donation recommendations! The great thing about bohemian style? Layers are luckily part of the look! Take your favorite summer dress and make it cool-weather ready with the addition of a loose, knit vest & brown suede booties. Transition your layering necklaces & boho bracelets over into fall. Organization Tip: If you’re going to reorganize & tidy up your closet, go all in. When it’s time to fully transition, dedicate part of your weekend to taking everything out of your closet. Then, put pieces in bags that you want to donate, delicately pack away your summer items and carefully organize your new fall closet. The ability to wear shorts year-round is a style triumph. To achieve this successfully, try adding solid or dark patterned tights and knee-high flat boots—it’s a chic & surprisingly warm look. Layer on cropped moto jacket to add structure to an asymmetrical summer top. Organization Tip: Shoes can take up so much space in your closet. Anything that you haven’t worn in the last year should be donated, while your summer sandals can be stowed away in bins. Rubber band your flip-flops and sandals in pairs so you can unpack them easily next year! 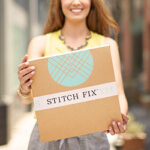 Need pieces to help you go from summer to fall? 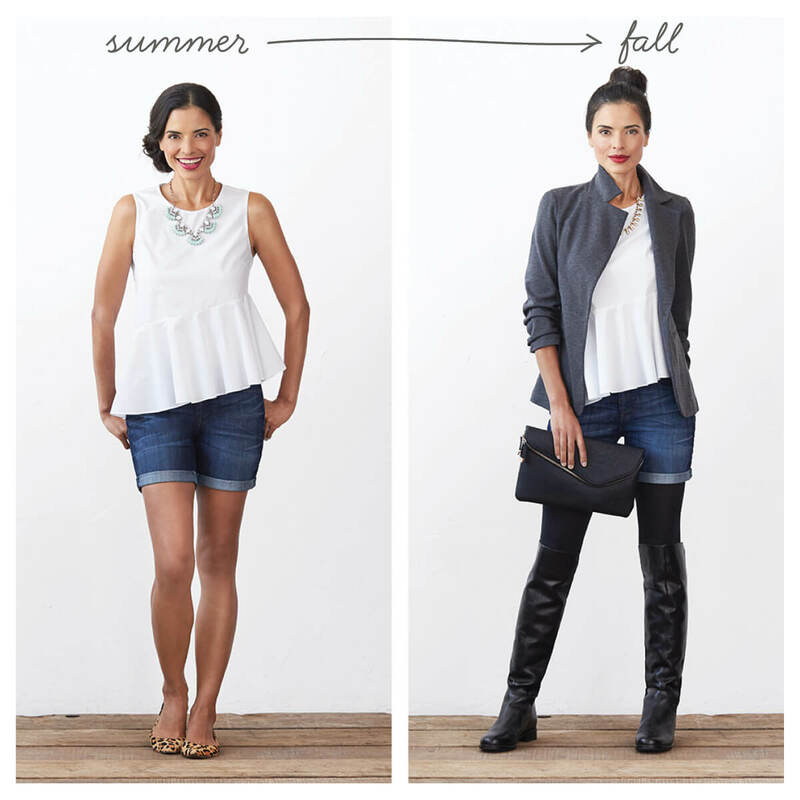 Schedule a Fix and let your Stylist know you’d like transitional pieces.